A-HOTEL.com - Luxury and cheap accommodation in Biryuch, Russia. Prices and hotel, apartment booking in Biryuch and surrounding. "Хостел у автостанции" is offering accommodation in Ostrogozhsk. The accommodation provides free WiFi. Mini Hotel Atmosphera features air-conditioned rooms in Ostrogozhsk. The restaurant serves Russian and European cuisine. 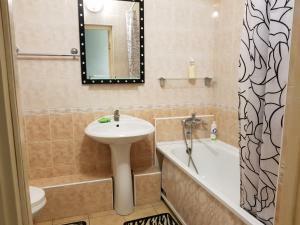 Apartments on Stepnoy offers accommodation in Staryy Oskol. All units include a flat-screen TV. Situated in Staryy Oskol, Квартира на Степном с панорамными окнами provides accommodation with a balcony and free WiFi. The property has city views. Set in Staryy Oskol, Apartment in Stepnoy Mikrorayon offers accommodation with a balcony and kitchen. Free WiFi is provided.